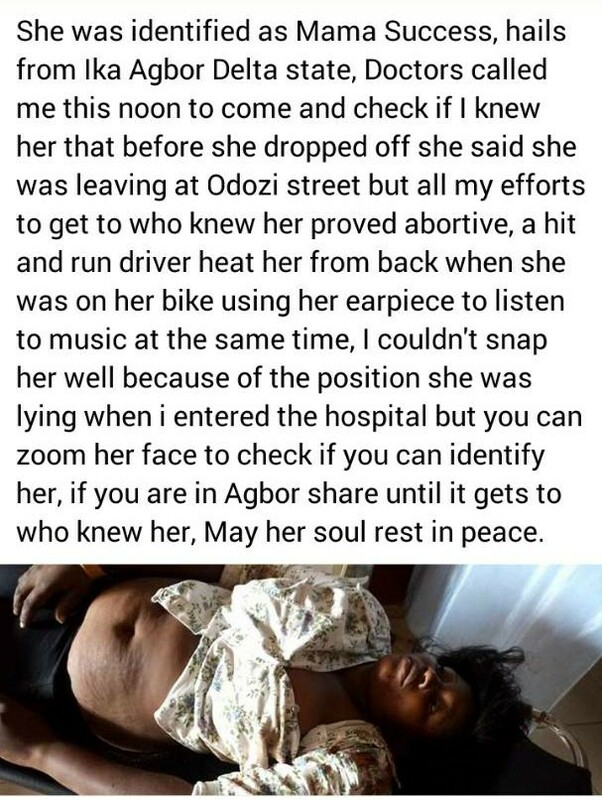 A Woman who was identified as Mama Success has just lost her life this afternoon after she was hit by a driver who didn't wait to witness the rest of the tragic he caused. 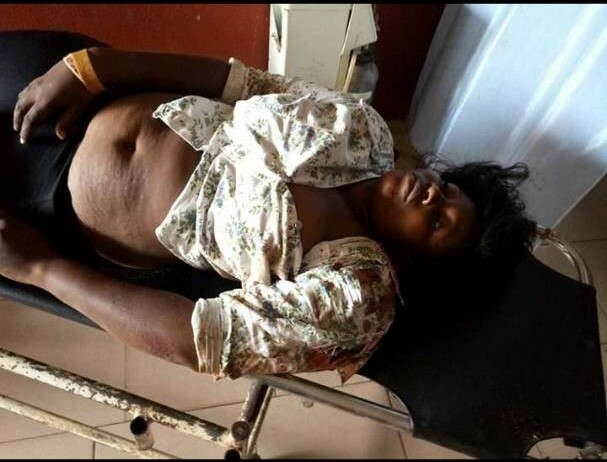 According to a Facebook user who shared the information online, said he received a call earlier today from the doctors of the hospital her dead corps was dumped to come for her identification. 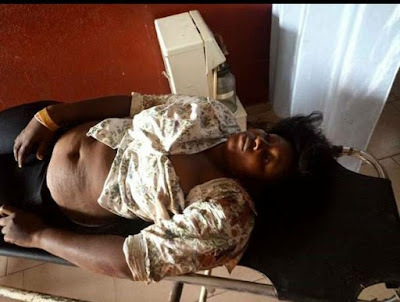 Prince Emeckar Mobe said he couldn't identify the woman but he was told that mama success confirmed that she lived at Odozi street, an area in Agbor, Delta state. 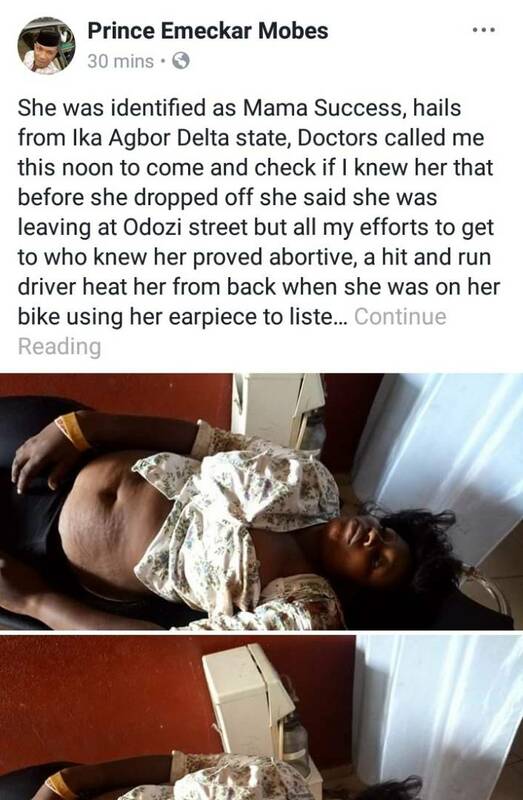 Here is Photos of Mama Success Corps.